Last year the world fell in love with psychopathic assassin Villanelle and MI5 officer Eve Polastri, mesmerised by the obsession they develop for each other. Being honest I was one of the people entranced by BBC America’s Killing Eve, and I often found myself dancing around in a floaty pink dress, much like the one Villanelle famously wears. Like many I was unable to get enough of the show, which has just been renewed for a third season following its return to screens last night (April 7). While we are eagerly awaiting a UK release date for the second season, lucky Americans enjoyed the return of Villanelle (Jodie Comer) and Eve (Sandra Oh) yesterday on BBC America. So what better time to announce a third season than today, with AMC Networks group president Sarah Barnett revealing the news at a summit. According to The Hollywood Reporter, Barnett said British writer Suzanne Heathcote will take over from season two’s writer Emerald Fennell, who in turn took over from the show’s creator Phoebe Waller-Bridge. I’m very excited that the Killing Eve baton is being passed onto another incredible writer for season three. We can sleep soundly knowing these characters are safe in Suzanne Heathcote’s hilariously murderous hands. ‘Hilariously murderous hands’, now that does sound promising! We love having this show and the brilliant Sandra Oh, Jodie Comer and Fiona Shaw on our networks. Phoebe Waller-Bridge and Emerald Fennell have delivered two addictively entertaining seasons. As we did last year, we’re renewing Killing Eve right out of the gate, now with Suzanne Heathcote as lead writer, as a sign of confidence — we adore this show as much as our fans do. Killing Eve doesn’t do anything in a templated way; we love giving opportunity to three genius women to make their mark. 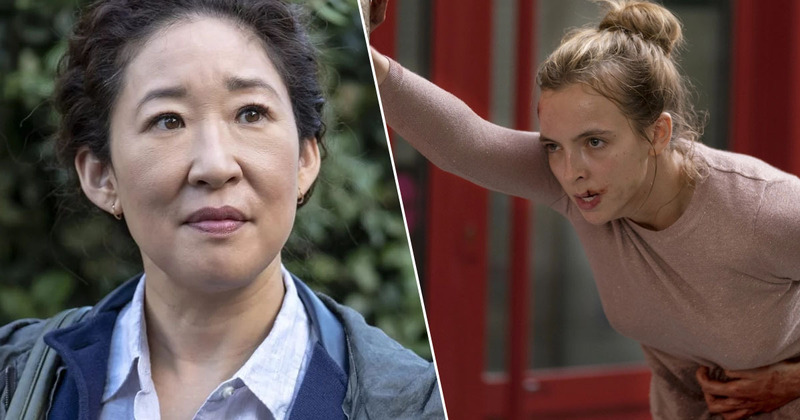 Although there is much to love about Killing Eve, how the show allows women to ‘make their mark’, both on screen and off, is something worth celebrating. However, much like Villanelle without a target, I am ‘tired and bored’ so BBC America, please can you hurry up and announce when Killing Eve is returning in the UK. And make sure it is soon, the obsession needs feeding! Season two of Killing Eve started in America last night. A UK release date is yet to be announced.